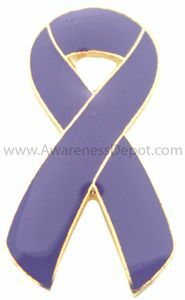 These Epilepsy awareness pins are adorable and one of our top products! Purple for Epilepsy awareness. They are very strong and they have a nice butterfly closure. These are awesome for fundraising. If you want more than 100, we can do a special order- just call us!